Although losing weight in the winter may sometimes seem impossible, there are many ways to achieve winter weight loss. For many people winter weight gain is a common occurrence, but it does not have to be that way. Winter brings thoughts of hearty meals, cozy nights sipping hot chocolate by a roaring fire and food-filled holiday celebrations. Exercise is often forgotten as the weather turns cold making outside activities difficult and weight gain common. During this season the human body goes through physiological changes that put it into a survival mode, making us want to eat more food. This is a natural survival instinct to prevent starvation during the cold weather. Understanding the changes that take place in our minds and bodies during the cold winter weather is an important step in stopping winter weight gain and in fact successfully losing weight during the cold winter months. Following a healthy balanced eating plan is important for keeping your mind and body in optimal condition, even if you are trying to reduce your weight. Regardless of the time of year, for weight loss to occur the number of calories taken in must be lower then the number of calories burned. To find the number of calories needed to lose weight, first find what the normal weight range is for your current height, age, and activity level using the calculator below. Use the calculator again substituting a weight reported in your normal range for your current weight. The following websites provide excellent tools to help with weight loss. Free Dieting provides an activity calculator for calories burned, a BMI calculator and an ideal body weight calculator. A food database that includes calories and nutrient information of more then 50,000 foods is provided at Calorie King. The following tips are helpful for losing weight successfully in the winter. Take time to relax during the busy and stressful holiday season. By taking time for yourself you are less likely to overindulge at family gatherings and other holiday festivities. Eat five to six small meals each day to cut down on food cravings and overeating. Many people suffer from seasonal affective disorder, known as SAD. This disorder causes them to feel depressed, sleep more and have an increased appetite making them crave more sweets and carbohydrates. SAD generally causes weight gain during the winter. However, it is possible to control this disorder, making weight loss in the winter successful. If you feel you suffer from SAD tell your heath care provider. There are remedies for this seasonal disorder including light therapy. Brisk walks on a cold winter day are a wonderful form of exercise leaving you feeling energized and invigorated. Great alternatives to walking outside in the cold weather include joining a mall walking club, a gym or an indoor pool. You will feel better, and it will be much easier to lose those unwanted pounds. Buy an exercise ball, a jump rope and a set of dumbbells to set up a simple exercise program at home. Winter is a great time for healthy soups and stews rich in vitamins and nutrients. 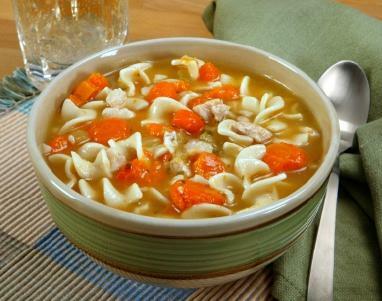 The Internet provides recipes for many varieties of soups that are delicious and low in calories using different types of vegetables cooked with chicken or beef stock. Replace the cream or whole milk in soups that are cream based with fat-free milk or fat-free yogurt. Take advantage of being indoors to create healthy recipe ideas or to modify old favorites by reducing the amount of fat and cutting the number of calories in the recipes. Replace the cooking oil in baking recipes with applesauce. Doing this cuts down on the amount of fat and calories in your baked goods. The three main aspects of a healthy eating plan that ensures a successful winter weight loss include a sensible balanced diet, reducing the number of calories consumed and increasing the number of calories burned.